Stock items are all the additives (Tartaric acid, KMBS, Fermaid, etc. ), packaging components (bottles, corks, capsules, labels, cartons, dividers) and packaged (bottled) goods that you keep in inventory (as opposed to bulk liquid). Before you can manipulate, price or consume these inventory items, you need to create a unique stock item for each. 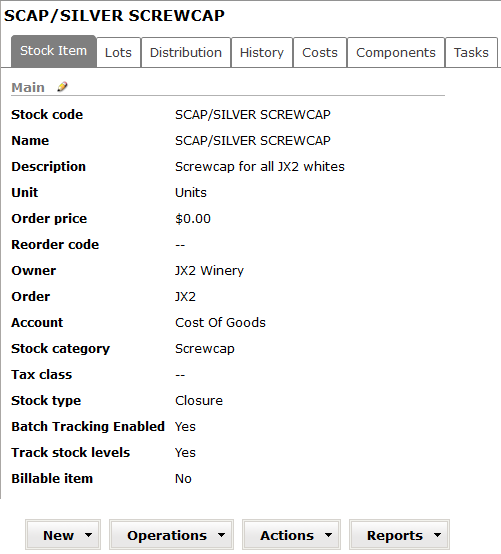 For our example, let’s create a new Closure stock code for our silver screwcaps to be used on all JX2 white wines. Choose Closure from the drop-down box. When the [Create] Closure item screen opens, notice that I’ve used “SCAP/” as a prefix for this item. 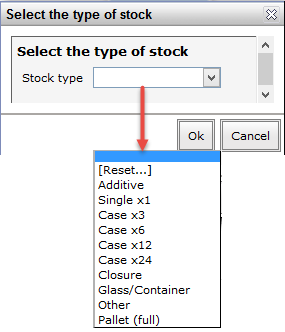 By starting a stock item with a code, such as BTL/ (bottle), CAP/ (capsule), ADD/ (additive), CRK/ (Cork), you’ll find it easier to do searches in the future; you may omit the prefix or use some other system of labeling/grouping your stock items as you choose. Here’s our set up for our new Silver screwcaps. Let’s start at the top and examine some of the fields. Stock code: this is the “key field” which vintrace will use throughout its history to identify this unique stock item. 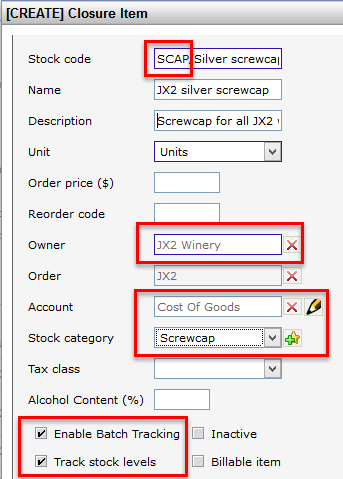 Unit: Select the unit of measure from the drop down list. Since screw caps are considered single units, choose “Units”. Order price: if you wish to maintain a base price for this item, you may enter it here. This would most commonly be used for items where you have long-term price guarantees. You may change it later, but you can also control the unit cost as you do your stock receipts. Owner: Look up or type in the owner of this stock item. If you are not a custom crush facility, you will generally choose your winery. Account: this is the General Ledger account that is used by your accounting department. Stock category: Choose the correct category from the drop down list or create your own. This will help group items for easier searching and reporting. 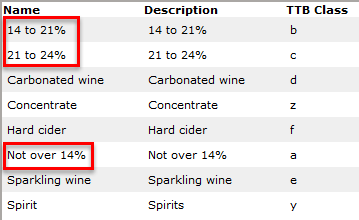 Notice the classes marked in red; these are the ones most common to regular still wines. Alcohol content: Optional for alcoholic stock items. This will not migrate from the bulk wine associated with a packaging so you will need to enter this manually. Enable Batch Tracking: You may turn on batch tracking by checking this box. Once turned on, it cannot be switched off in future. This feature is of particular interest under the US Bioterrorism Act and other state and federal regulations. It particularly applies to additives but may also be used with other types of stock items. Use the batch/lot shown on the packing list or invoice. 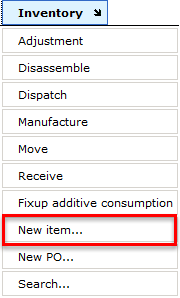 When you are satisfied with your new stock item, click Save. Now that you have created a stock item, you’ll want to know how to find and view it. Remember that we used the prefix “SCAP” for our new silver screwcaps. That prefix makes it very simple to find and view it. Simply enter “scap” in any of the search options from above, and click Search or hit <Enter>.